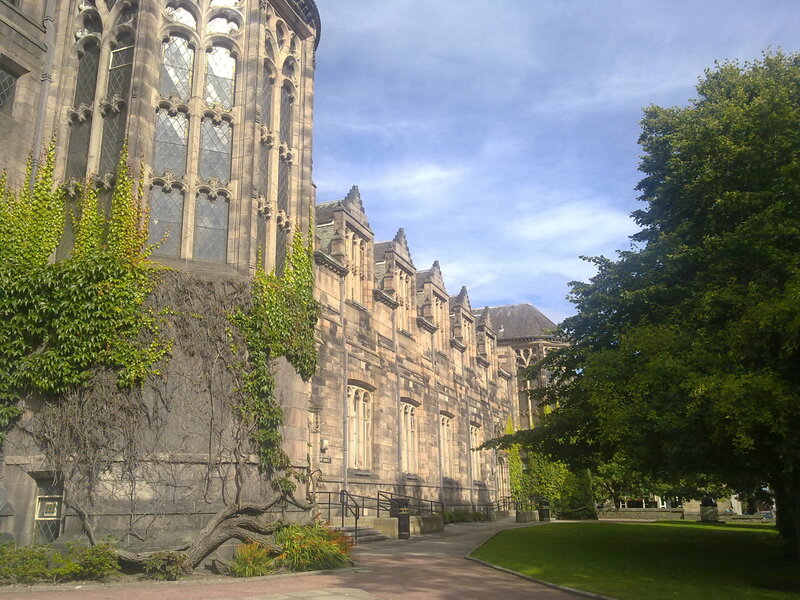 The Autumn Meeting of the BSDB on ‘Axon Guidance and Regeneration’, held on the 28th – 30th August, 2013 at the University of Aberdeen in the beautiful surroundings of Old Aberdeen, was an excellent conference of around sixty delegates, full of exciting talks, highly distinguished speakers, and many opportunities for interaction and fruitful discussion. Talks and posters throughout the conference ranged over a number of fascinating topics, including both classical and novel axon guidance mechanisms (how neurons project axons correctly to specific targets to achieve the circuitry of the nervous system) and how these findings may be used to promote axon regeneration after injury or disease. How different axons project to specific targets in the same environment was discussed in detail, including novel and exciting evidence to support the idea of how not only one specific axon guidance cue, but combined cues acting in synergy, combined with a variety of receptors on different cells, as well as translation and transcription, can guide axons. We were extremely lucky to have two wonderful and inspiring plenary talks. Using the optic system as a model, Professor Carole Mason (Columia University, USA) showed her work on how a combination of the guidance molecules Sema6d, PlexinA1 and NRCAM are all required at the optic chiasm for contralateral retinal ganglion cell axons to cross the midline, an important mechanism for the correct connectivity of the visual system. These findings bring forward the idea that a consortia of guidance molecules and specification cues both on the axon growth cone and in the environment is needed for correct axon guidance. In addition, Professor Mason showed exciting new work on how the birthdate (neurogenesis rate) of different neurons in the eye may lead to specification of their identity. In the second plenary lecture, Professor Christine Holt (University of Cambridge, UK) showed us her fascinating work on how differential translation of the actin assembly machinery in different parts of the axon growth cone can lead to attraction or repulsion. This suggests that local translation in the axon, dendritic spine and surrounding cells can affect axon guidance and neuronal activity. In addition, Paola Bovolenta (Instituto de Neurociencias, Spain) described her work on how different levels of the morphogen sonic hedgehog (Shh) in both RGC cells themselves and at the midline are important for correct guidance of RGC axons. Artur Kania (Institut de Recherches Cliniques De Montreal, Canada) and Franco Weth (Karlsruhe Institute of Technology, Germany) added to this theme and described complex and novel work showing how guidance cue additivity, synergy and a variety of forward/reverse and cis/trans signalling through multireceptor complexes on growth cones can guide axons. How to study what happens to the circuitry of the nervous system when correct axon guidance is disturbed or incomplete was discussed by several speakers, in particular by using transgenic mouse, fish and fly models to disturb genes in particular parts of the optic system. The function of nonneuronal cells in axon guidance and regeneration was also discussed. Iris Salecker (NIMR, UK) described how their beautiful imaging of CNS glia in Drosophila medulla neuropil glia (mng) mutants is helping to define the development of different glial classes and the nature of their association with developing axons, and to suggest novel genes involved in these processes. Charles ffrench-Constant (MRC Centre for Regenerative Medicine, UK) told us about his group’s work on oligodendrocytes and central remyelination, and in particular, how a limited window for CNS remyelination in the CNS by oligodendrocytes may be extremely important for targeting therapies in multiple sclerosis. Several talks focused on the genes and mechanisms controlling the physical process of axon extension and how these may be manipulated to promote axon regeneration. Kristjan Franze (University of Cambridge, UK) used high-resolution ‘stiffness’ maps of Xenopus brain tissue to show that axonal growth speed and length is affected by the ‘stiffness’ of the axonal growth substrate. This exciting finding suggests that, in addition to typical chemical signals, mechanical forces in surrounding tissue are important for correct axon guidance, and suggest that a mechanosensative channel may be important. In a similar technological advance, Geoffrey Goodhill (University of Queensland, Australia) showed how their careful and in-depth timelapse analysis of axon growth cone morphology led to the discovery of oscillations in growth cone shape over time, and that these oscillations predict the eventual movement and guidance of the growth cone. Finally, exciting findings in enhancing CNS axon regrowth were shown by Frank Bradke (DZNE, Germany). By using a blood-brain barrier crossing drug to stabilize axonal microtubules, causing an accumulation of microtubules at the axon leading edge and axon regrowth, they were able to show functional recovery after CNS injury in rodents, an inspiring result in the difficult CNS environment. 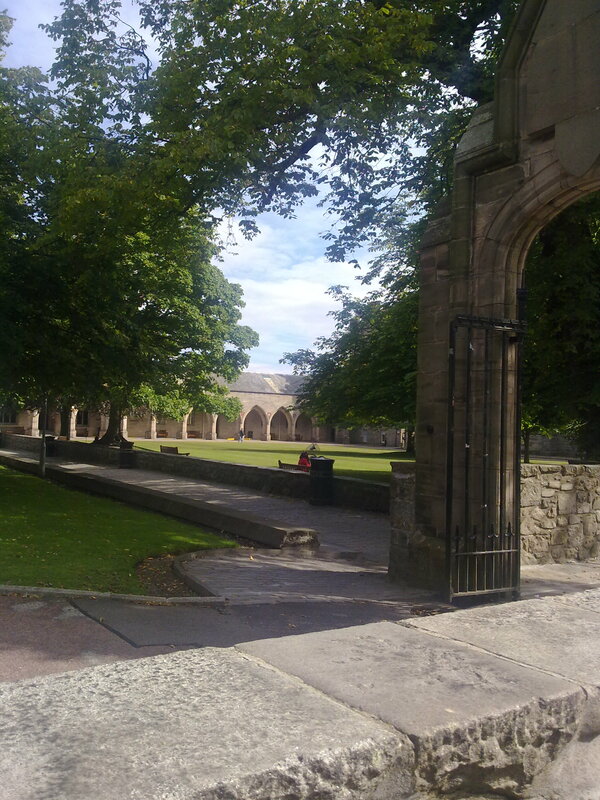 The conference location in the historic Elphinstone Hall and New Lecture Theatre at the University of Aberdeen, surrounded by greenery and beautiful buildings, provided a tranquil environment for many enjoyable and productive discussions and informal chats over refreshments and during excellent poster sessions. On the last night, we were treated to the sight of dolphins swimming in the sea next to Aberdeen beach, during a drinks reception before a great Conference Dinner and opportunity to relax and socialise in the Beach Ballroom on Aberdeen seafront. This was followed later in the evening by a very active and enjoyable Ceilidh (traditional Scottish dance), ably assisted by our Scottish delegates. I would like to thank the conference organisers and BSDB for providing this great opportunity for researchers to hear about and discuss cuttingedge and exciting research in the field of axon guidance and regeneration.